At the heart of a very popular tourist region wich is renowned for its Muscatel, you will discover a camping site where the family atmosphere will enchant you. The Gardiole Mountain and the Vic wetlands are two protected sites which you can explore on foot or by bicycle. The nearby sea will calm you with its gentle breeze. 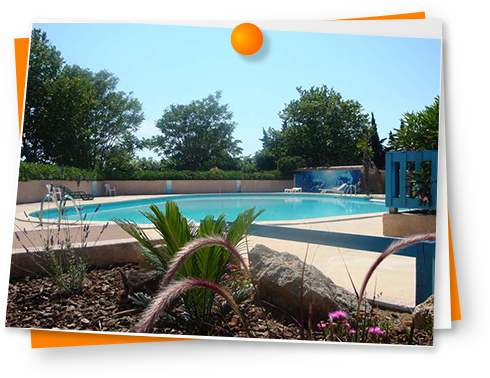 Our camping site, located between Sète and Montpellier, is the perfect starting point for you to explore the beautiful Frontignan region, renwned both for its muscatel and for its jousting. Water space available. A magnificent 225 m² pool will bring relaxation from May to September.